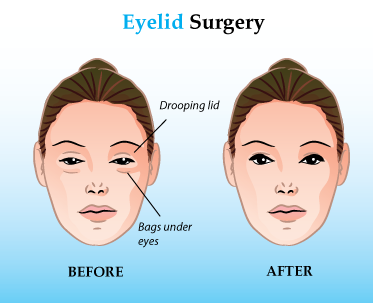 Eyelid Surgery (Upper & Lower) Cost, Recovery Time, etc. Eyelid surgery, or blepharoplasty, is a surgical procedure in which excess muscle, skin, and fat deposits are removed from the eyelids. It can be performed on both the upper and lower lids with the goal of improving the appearance of wrinkles, and reducing puffiness or under-eye bags giving patients a more rested and refreshed appearance. While eyelid surgery can dramatically alter the appearance of the eye area, it will not affect the appearance of dark circles or sagging eyebrows. If you wish to treat these conditions, your surgeon may recommend another cosmetic treatment such as brow lift or face lift. Although eyelid surgery cannot correct all perceived problems, it makes it possible to correct facial flaws and signs of aging, resulting in a younger and rejuvenated facial appearance and improved self-confidence. Healthy with no medical issues. Have excessive dropping or sagging skin around the eyes. Have serious eye or medical conditions (glaucoma, diabetes,etc), as these can increase the risks of complications. Are unrealistic about what to expect. Upper or Lower: Which is Best for You? The two main types of eyelid surgery procedures are upper eyelid surgery and lower eyelid surgery. Upper Eyelid Surgery: As the name suggests, this procedure addresses the drooping or sagging of the upper eyelids. During the procedure, incisions are created in natural skin folds and excess skin and tissue is removed. If “crow’s feet” or wrinkles are a concern, the incisions may extend past the eye’s outer corner to allow the surgeon to smooth these wrinkles. Lower Eyelid Surgery: Used to address puffiness or bagginess under the eyes. During the procedure, the incision may either be placed in the natural skin folds, or behind the eyelid. If the incision is behind the eyelid, rather than in the skin of the lower eyelid, it is known as transconjunctival eyelid surgery. Regardless of the method used or whether the surgeon is working on the upper or lower eyelids the incisions may be closed with tape, very small sutures, or in the case of transconjunctival surgery, left to heal on their own. Oftentimes, these procedures are performed on both eyes during the same surgery session, as the cost is lower to treat both sets of eyelids at once than to perform them separately. However, when most of the excess tissue is located in either the upper or the lower lids, surgery can be performed on just one set of eyelids. In some cases, eyelid surgeries are performed simultaneously with a forehead lift (also known as a brow lift) to correct drooping brows or deep lines in the eyebrow or forehead area. Also known as double eyelid surgery, Asian blepharoplasty is performed in order to create a crease in the upper eyelid. In doing so, the surgeon alters the “single fold eyelid” common among people of Asian descent into the more open, “double eyelid” appearance that is typical in Caucasians. To some, larger and more open eyes are seen as a sign of vitality and youth making this a popular procedure in many Asian communities. Ideal candidates are Asians with thin skin and eyebrows that are not too low or too heavy. The procedure can be performed on adults of any age, although most patients are in their teens, 20s, or 30s. There are certain medical conditions, particularly those affecting the eyes or the circulatory system that may prevent potential candidates from undergoing eyelid surgery. There are several surgical techniques used to create the additional eyelid crease, with the most popular method known as the double sutures and twisting method, or DST. DST procedures involve creating a fold by pinching the underside of the eyelid skin and suturing it in place. During Asian eyelid surgery, it is also common for the surgeon to trim the web of skin overlapping the corner of the eye. Known as the epicanthal fold, this tends to be more prominent in patients of Asian descent, who seek to have its appearance softened through surgery. Following this surgical work, the incision is closed with sutures. Often, the sutures are what creates the intentional crease in the eyelid. In most cases, eyelid surgery is performed on an outpatient basis. Once the anesthesia wears off, you will be able to return home, although you will need someone to drive you, because your eyesight will be blurry and the eyes may need to be covered. Following your eyelid surgery, the eyelids will be supported with paper tape to ensure that the tissue heals with the correct contours. Gauze may also be worn over the eyes for up to three days following blepharoplasty. It is very important to leave these post-surgery coverings in place, as directed by your doctor, to ensure a fast eyelid surgery recovery and optimum results. If you have had transconjunctival blepharoplasty, in which the tissues are accessed through an incision behind the lower eyelid, your eyes may not need to be covered following surgery. Typically, the sutures used during the eyelid surgery procedure are dissolvable, so you will not need to have them taken out by your doctor. Although every surgical procedure comes with the possibility of scars, visible scars following eyelid surgery are minimized due to the placement of incisions. Because incisions are placed in natural skin folds, or sometimes behind the eyelid, they should not result in obvious scarring. Over time, any scars you see will fade into the surrounding skin. During the eyelid surgery recovery period, use eye drops or ointments as directed by your surgeon. It’s also important to avoid disturbing the eyelid tissues as they heal; this requires keeping the head elevated while sleeping. Any discomfort you feel can be managed with pain medication and cold compresses. DID YOU HAVE EYELID SURGERY? After eyelid surgery, you can expect your eyes to be watery, dry, or overly sensitive to light. Temporary vision effects can include double vision or blurriness. Additional side effects experienced during your eyelid surgery recovery include tenderness and bruising, which could extend to the eyes or cheeks, resulting in the appearance of “black eyes.” Additionally, some degree of puffiness or swelling is normal. These side effects should subside within about a week of your eyelid surgery, although residual swelling may continue for several months as the tissues adjust to their new positioning. After eyelid surgery, most patients take one to two weeks away from work and other obligations. Some patients find that they are able to return sooner with the use of camouflage makeup to disguise residual swelling or bruising. Glasses may be worn immediately, and contact lenses in 1-2 weeks. Eye makeup should be avoided for the first week, along with any other potential eye irritants. To minimize the eyelid surgery recovery time, avoid activities that dry the eyes, such as reading, watching television, or using a computer, for as long as possible. The same goes for activities that could increase blood flow to the eyes, including bending, lifting, and crying. Strenuous exercise should be avoided for about a month, and sun exposure must be avoided for at least six months. Sunglasses should be worn during this time to protect the eyes from irritation caused by sun and wind. Most patients find that the final result of their eyelid surgery is visible after about two months. Eyelid surgery, or blepharoplasty, is a procedure that removes fat, excess skin and muscle from the upper and lower eyelids. This surgery can help correct drooping eyelids and puffy bags, restoring a more youthful and rejuvenated appearance to the eyes. The cost of eyelid surgery will depend on several factors such as the technique chosen, extent of procedure, where you live and the surgeon you chose. The following article will cover the basic fees involved with most eyelid surgeries and other variables that can influence the cost. The average surgeon’s fee for eyelid surgery is around $3,500. This does not include the facility or anesthesia fee. On average the anesthesia fees can range from $500 to $800 depending on the extent of your procedure and the facility fee can be upwards of $1,000. After adding these fees up, the total average cost is closer to $4,500 or $5,000. It is important to keep in mind that there may be other miscellaneous expenses such as medical tests, medications, and post-surgery care requirements needed during your eyelid surgery recovery. When considering eyelid surgery, be sure that your surgeon’s price quote includes all of the applicable charges, not just the surgeon’s own fee, so that you know how much you are expected to pay. Eyelid surgery costs can vary significantly from patient to patient based on a variety of factors. First are variables not related to your surgery, such as where you live. Eyelid surgery tends to be more expensive in major cities and less expensive in smaller locales, in addition pricing varies across different regions of the country. Even within the same metropolitan area, facility fees can differ greatly. 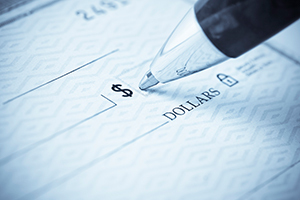 Surgical fees are also dependent on the specifics of your procedure. In general, a longer or more complicated eyelid surgery will cost more than a less extensive one. Also, if you are having another procedure done at the same time such as a brow lift, facelift or Botox injections that will increase the overall cost as well. Finally, the surgeon you choose will having an impact on the cost. 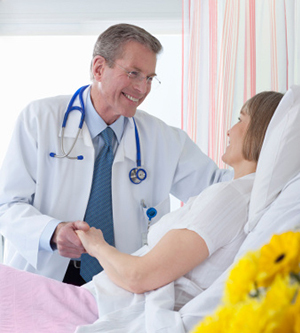 Highly trained, board certified surgeons with many years of experience are able to select the right techniques and ensure a successful outcome. Because of this, they are able to command higher fees. 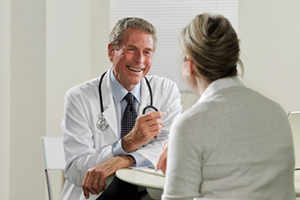 Never choose your surgeon based on cost alone; instead, examine the potential surgeon’s experience level, skills, training, and reputation to gauge whether they will be able to increase your odds of a successful treatment. As with most cosmetic surgery procedures, the cost of eyelid surgery is not typically covered by insurance. The exception is in cases where excess upper eyelid skin sags to interfere with vision. In this case, the procedure may be covered; be sure to consult your insurance policy before scheduling your procedure if you believe this may be the case. Your insurance policy may require a doctor to confirm the medical benefit of eyelid surgery or limit the types of eyelid surgery you can undergo. For those whose eyelid surgery is not covered by insurance, rest assured, there are options available to you. 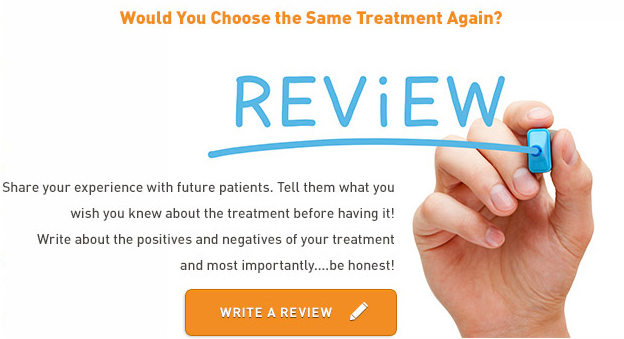 Many surgeons offer affordable monthly payment plans to put eyelid surgery within your reach. You should never have to avoid this procedure based on cost alone. If price is a consideration for you, be sure to ask the surgeon about the availability of financing during your consultation visit. When researching eyelid surgeons, it is important that you make sure they are certified by the American Board of Plastic Surgery (ABPS) or other association such as the American Society of Plastic Surgeons (ASPS), American Society for Aesthetic Plastic Surgery (ASAPS) or American Academy of Facial Plastic and Reconstructive Surgery (AAFPRS). A membership in any of these societies or board-certification does not guarantee a successful outcome, however associations like these require their members to have extensive medical training, experience, and rigorous surgical education which can ensure that the most appropriate techniques are used for your eyelid surgery while reducing the risk of complications.